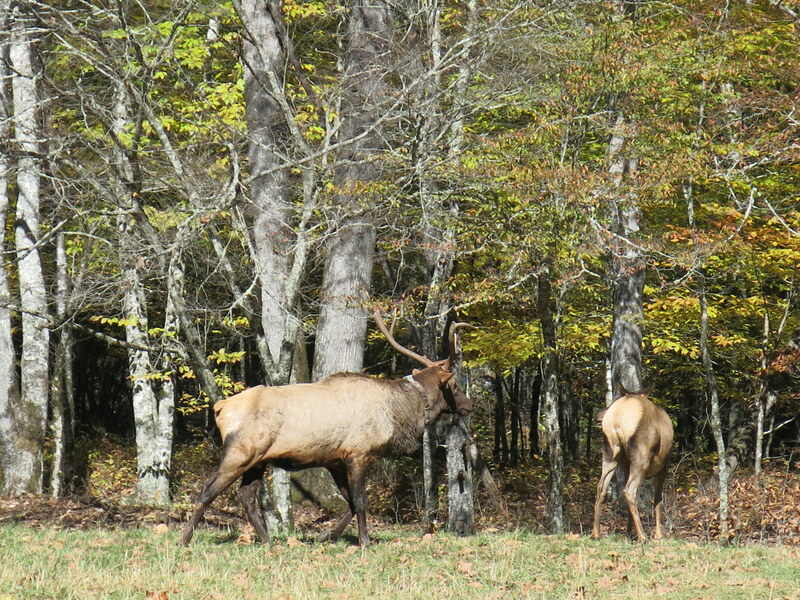 October 27 – We drove to Cataloochee with a picnic lunch… A little history of Cataloochee Valley is in order here. Native Americans were the first people to visit this valley. 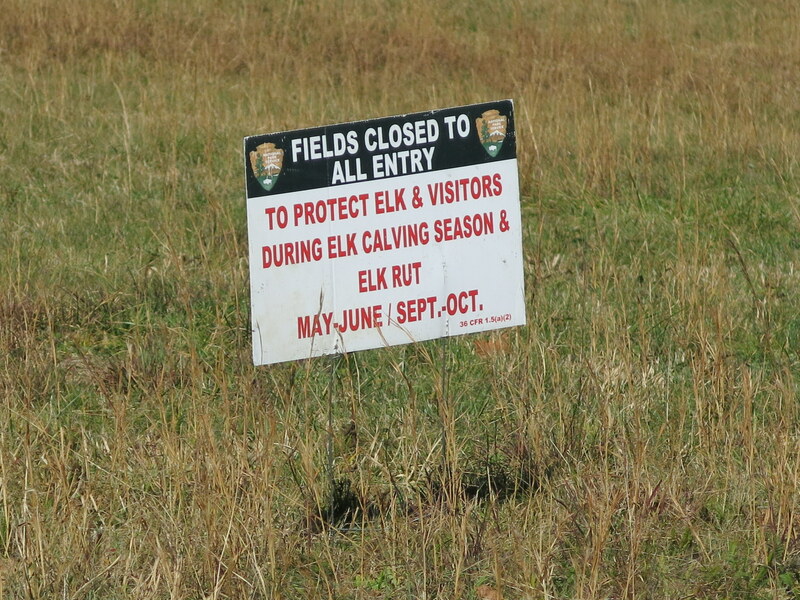 There is evidence that the Cherokee hunted and fished here, but did not settle here permanently. White settlers pushed into the valley in the early 1800s. At that time, all of the valley belonged to Colonel Robert Love, a post-Revolutionary War land speculator who granted homesteads to those who would settle and improve the land. 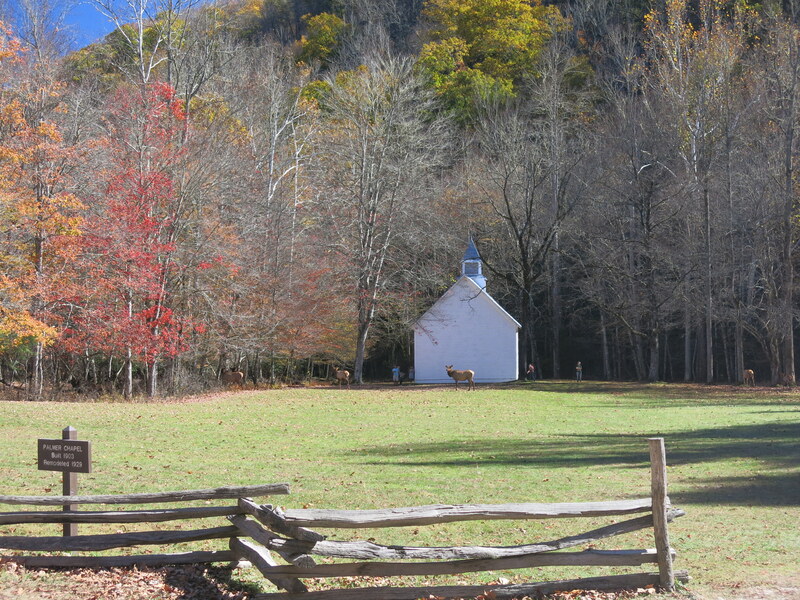 By the 1850s Cataloochee was well populated, but not full. 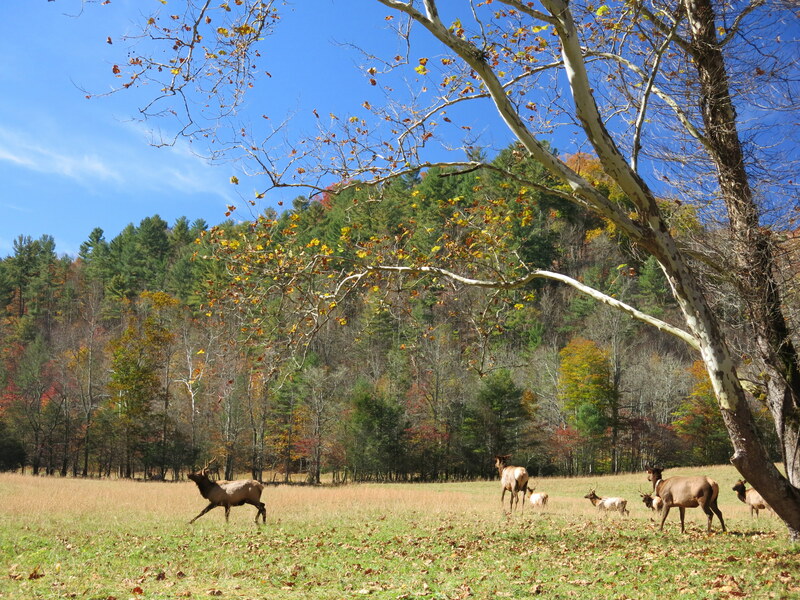 For more than 100 years, Cataloochee grew and prospered. Permanent settlers arrived in the 1830s, building homes, Churches, schools and roads. 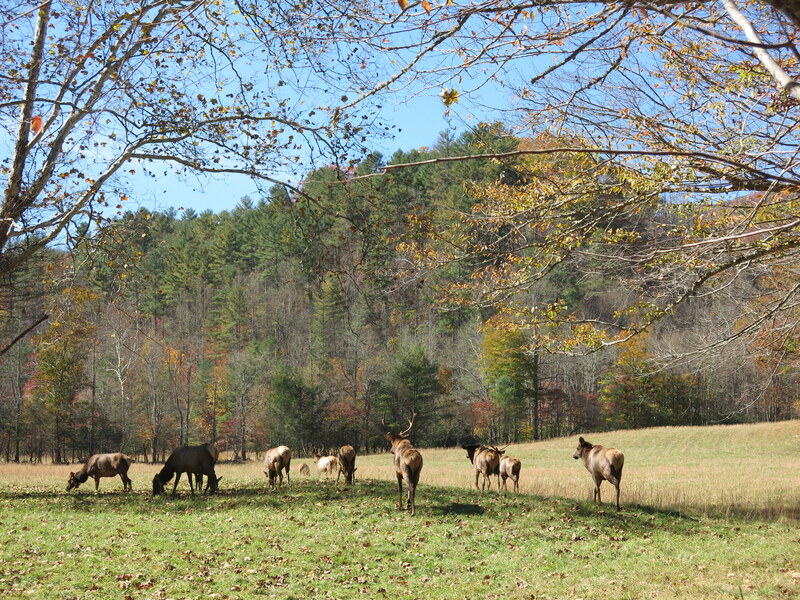 The 1910 Census recorded 1,250 people in the valley — the largest single community in what would later become Great Smoky Mountains National Park. 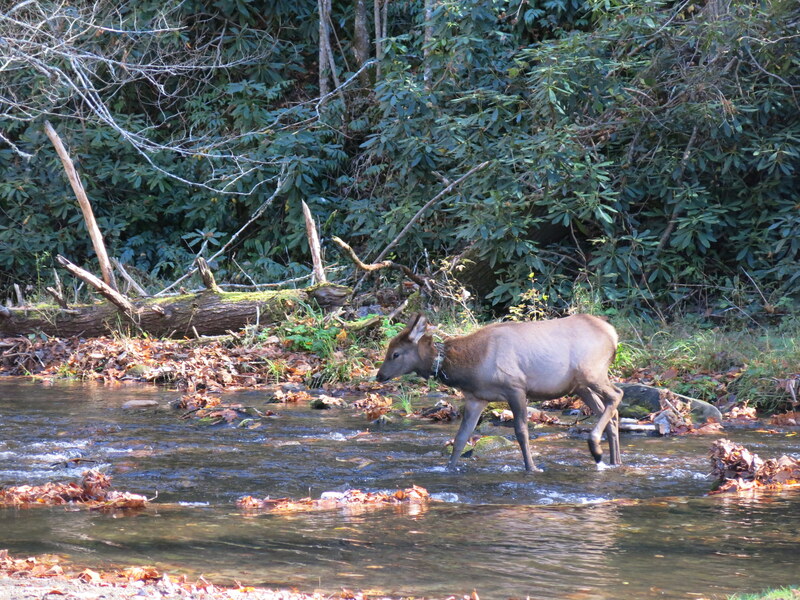 Along the way to Cataloochee, we stopped at Soco Falls on the Cherokee Indian Reservation. The trail wasn’t well maintained, and very steep so I sent the camera down with John and waited for him at the trailhead. I’m really glad I didn’t attempt it – John reported that the trail became steeper, and then there was a section where you went straight down holding a rope. John made the wise decision not to go down to the splash pool of the waterfall. He reported that the drop of the water over the falls was about 75-100 feet, with many cascades of water, along the stone shelves. From his photos, I missed a beauty! We continued along Hwy 19 through Maggie Valley, past produce stands selling apples and cider. The trees along our way were showing some great color. 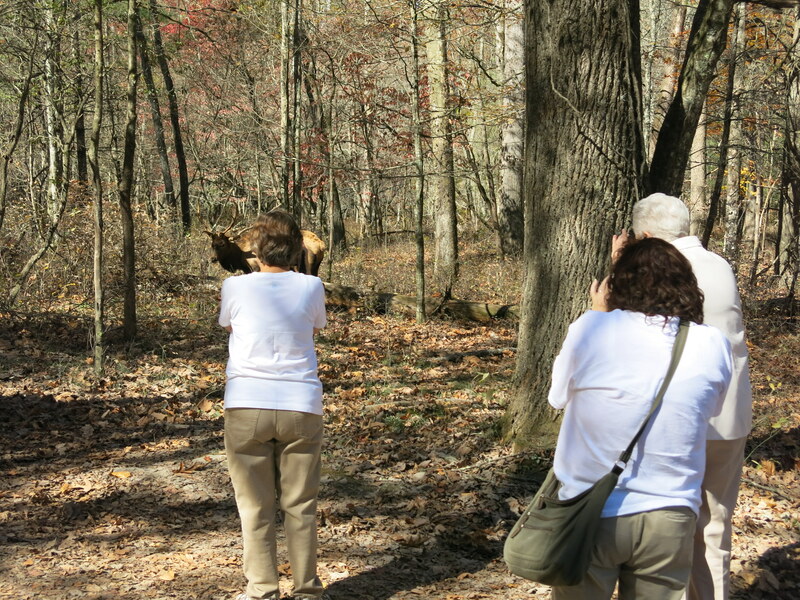 We started seeing lots of maple trees, at about 3500 feet after entering the park. Beautiful Yellow Maples, Sugar Maples and Red Maples – all at peak color. the roadway turned from asphalt to gravel and the area was very dry and dusty. We were driving along the extremely curvy dirt road, with lots of blind curves. Beautiful fall colors around every bend, but it was hard to capture with all the dust from vehicles ahead of us on the road. We stopped at the overlook, for a sweeping view of the colorful mountains. Ladybugs were everywhere, flying around and landing on clothes, and hair. Little orange ladybugs with lots of black spots. And, no, I didn’t take a picture! 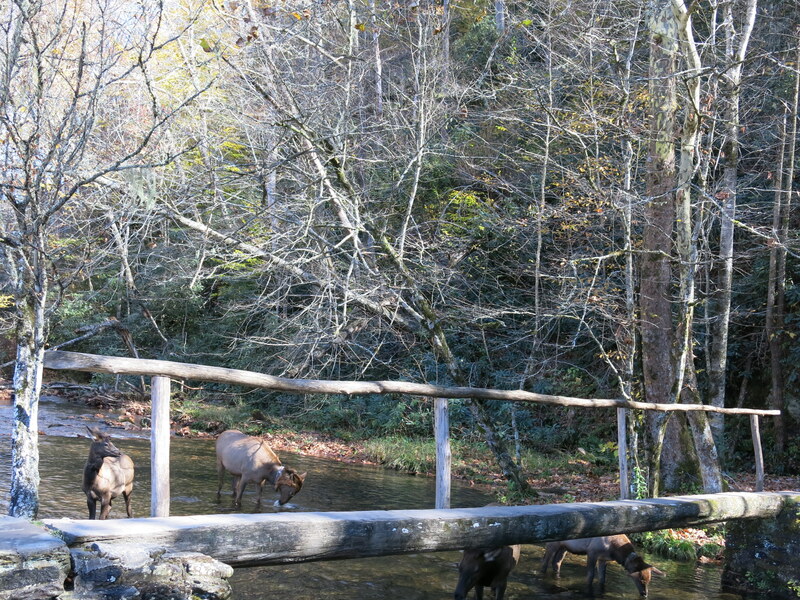 John and I weren’t the only people interested in the elk and these guys were way too close! 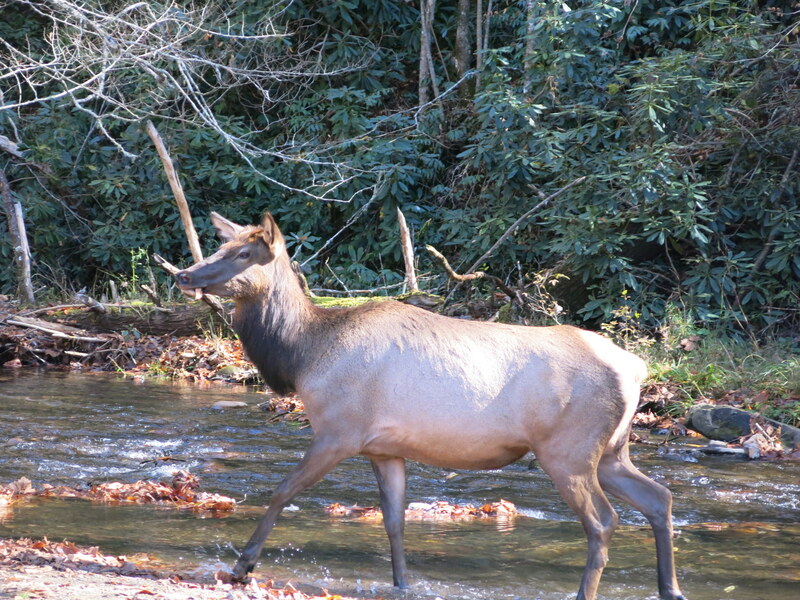 It was time to head back to camp… We had an exciting time with the elk today (last year we saw a large herd in Cataloochee but they were contentedly eating grass, and not much else). 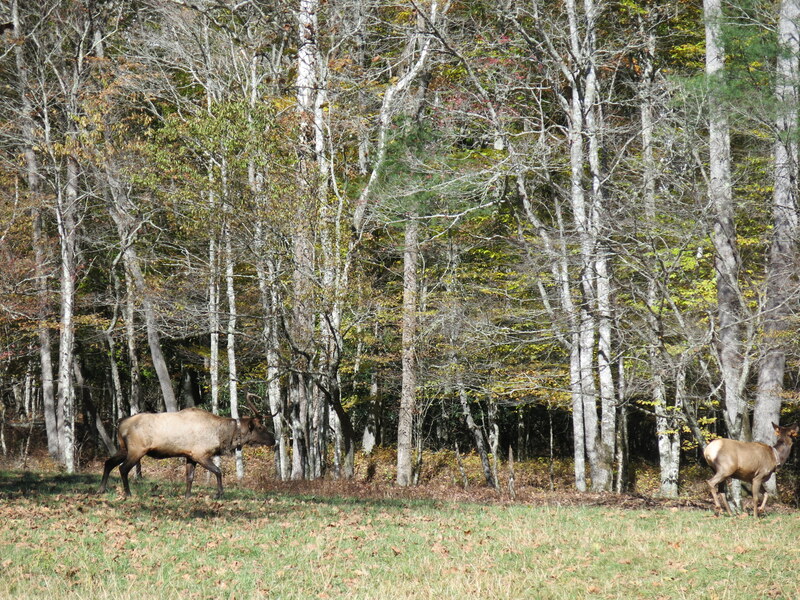 Today, the herd moved over by the chapel, and we bid them adieu, hoping none of the people with cameras got too close to an elk while capturing that photo.